The Banana Republic. I saw these three words displayed on Mr. Johanson’s black board. With standardized testing over he was now free to teach the history he felt was important. 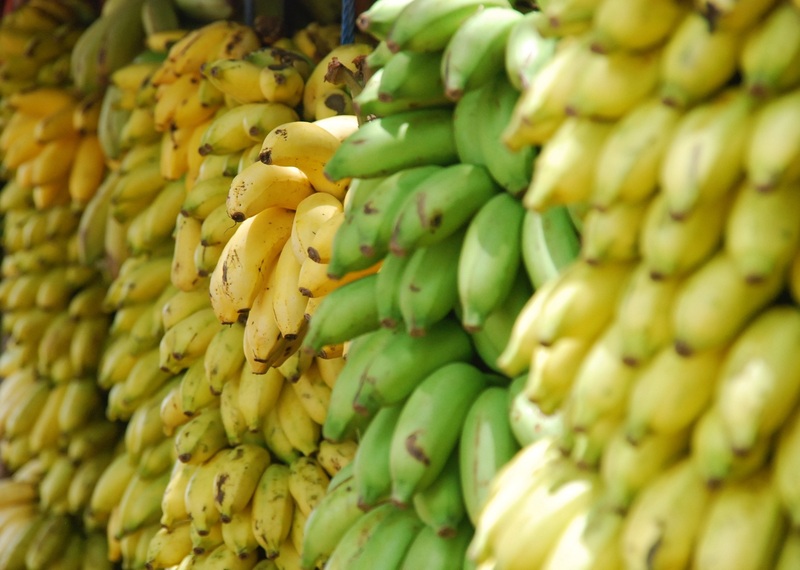 The Banana Republic is a set of small countries in Latin America that rely/relied economically on the support of the fruit export industry. This definition conjures up images of a tropical, agricultural business in which both countries mutually benefit from this exchange. But the reality of these fruit companies influence has had violent consequences for the people and economical stability of many Latin American countries, Guatemala included. Mr. Johanson actually used Guatemala as a case study to demonstrate the harmful effects U.S. corporations had on the region. I learned how United Fruit Company (Chiquita Banana) played a huge role in fueling the armed conflict. This lessons, and many other of his teachings, introduced me to labor history. I was exposed to the world of human rights law and violations. I discovered the humanity/history of the people I was told were ‘alien’. His teaching was radical. My interested was sparked. This was my first contact with a history that challenged my perception of the U.S. This was my first introduction to social justice education. That history lesson was the first of many things that sparked my interest in moving to Guatemala. In the summer of 2015 a little seed was planted in my mind. I had two thoughts 1) I need to get out of the U.S. 2.) I don’t just want to travel but live abroad. I don’t know where this seed originated from but it continued to grow. This was a scary thought given the fact that my current passport had only one stamp from a girls trip to Mexico. When planning for this trip I kept being pulled to the idea of Guatemala. I still don’t exactly know how all the pieces of this puzzle came together but they did. The organization. The school. The funding. Thank you to all my teachers, formal and informal, for teaching me a history that is not often taught in a classroom. Mr. Johnson, for this initial lesson. Nicole Huguenin, for providing a space for me to question and explore. My friends who have called me out, challenge me, and cared about my growth. The college professors who challenged their institution by introducing radical syllabi. To the people who take the street demanding intersectional justice and that Americans come face to face with our history. The history of Guatemala sparked my interest and drew me here but it’s the people and the natural beauty that I have fallen in love with. I can never know how that lesson has changed my life path but I do know I will never forget it. Please enjoy these photos. It’s hard to capture in photos how beautiful Guatemala truly is. I learn something new from each of your blog posts. Thank you and Mr Johanson for this a teaching moment. Gorgeous photos by the way!